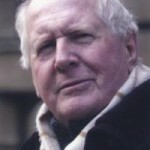 Prose writer and scriptwriter for radio, television and film. 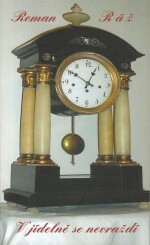 His books have been published in Polish, German and Romanian. He was born in Prague on 28 May 1935. 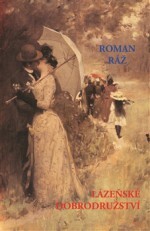 Ráž has convincingly used excerpts from the grandmother’s soul-searching chapters from the part-authentic, part-fabricated notes, diary entries and narration of nearly all of the main characters. The author also gives over the impression that it is entirely up to the reader to judge where and when our ancestors went wrong in their ideas and actions. In fact the author’s sympathy, where he places friendship and consistency above all else, emanates unmistakably clearly from the novel. He graduated in aesthetics and film studies and worked as a script editor and writer for Czechoslovak television and radio. He signed the “2000 Words” manifesto, a call for reform of the Communist Party in 1968, after which he was sacked and became a freelance writer. Since the sixties he has been writing novellas, short stories, poems and feuilletons. 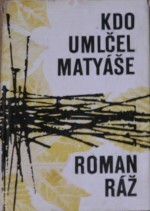 His debut work was the short-story collection Jediná noc (One Night, Krajské nakladatelství Brno, 1962), which was followed by Učitel ptačího zpěvu (The Birdsong Teacher, KNB, 1965), Jednou se ohlédneš (One Time You Will Look Back, KNB, 1968) and Kdo umlčel Matyáše (Who Silenced Matyáš, KNB, 1968), all of them psychological stories about people who contemplate some degree of compromise in various situations on the margins of life. Smrt v kaštanovém domě (Death in the Chestnut House, Blok, 1976) depicts the cowardice and pettiness of several inhabitants of a small town who have driven a man to murder and are incapable of taking responsibility for their actions. 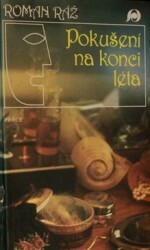 The novel Prodavač humoru (The Seller of Humour, Československý spisovatel, 1979) inspired the director Jiří Krejčík to make a film about the tribulations of variety-show recruiter Jožin Petránek. 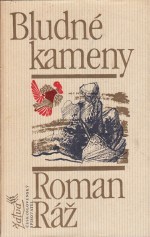 The novel Bludné kameny (Stray Rocks, Čs. spisovatel, 1981) recounts the fates of three brothers from a cottage in the Bohemian-Moravian Highlands; the novel’s title comes from a motif of the book – a meeting during the blasting of stray rocks on land which used to belong to the cottage owners. 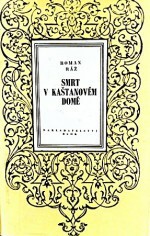 The book Vrabčí hnízdo (The Sparrow’s Nest, Čs. spisovatel, 1983) comes from the environment of film and television studios, which Ráž is intimately familiar with and used here as the setting for the story of a ruthless careerist. 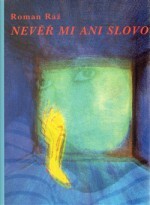 The story of the main character from the book Šokmistr (The Shock Master, Čs. spisovatel, 1985) also revolves around a loafer who exploits the name of his famous father. Narcisový dům (The Daffodil House, Čs. spisovatel, 1988) was again made into a televised version; it tells the psychologically charged story of the life of two generations in a house which is at first sight invitingly sunlit and surrounded with daffodils. This was followed by the tragicomic novel about infidelity In flagranti (Čs. spisovatel, 1989), made into a film in 1993, the story of a former operetta singer Pokušení na konci léta (Temptation at the End of Summer, Práce, 1989) and the novel from woodland solitude and from the practice of a country doctor Zachránci samoty (The Solitude of the Rescuers, Academia, 1999). Bonviván (Bon Vivant, Academia, 2004) describes the life of an ageing actor and dancer. This was followed by an overpopulated farce about the vagaries of everyday life, Nevěř mi ani slovo (Don’t Believe a Word I Say, Akropolis, 2009), and a farce on the theme of murder, V jídelně se nevraždí (One Doesn’t Murder in the Canteen, Akropolis, 2001). 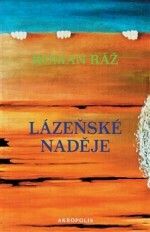 Roman Ráž’s most recent large-scale literary project is the historical fresco Lázeňské dobrodružství (Adventures at a Spa) and Lázeňské naděje (Spa Hopes, Akropolis, 2014 and 2015); against the backdrop of the dramas of one family, it depicts the First and then the Second World War and life in Czechoslovakia in the run-up to the communist victory in the elections of 1946. 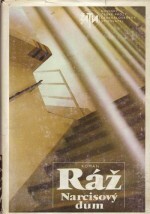 Ráž is also the author of the radio plays Smyčka (Loop), Ruce nad vodou (Hands Above Water) and Faust umírá dvakrát (Faust Dies Twice, collectively by Dillia, 1968).